If you ever reported to a micromanager, you know how frustrating, confidence shaking and demoralizing it can be. This type of manager may cause you to question your own skills and abilities. Your first thought may be to leave that environment and job, but in this book I encourage you explore the situation from both sides of the equation and work through the experience to develop a clear cut plan. Let’s explore the root cause from both the individual contributor perspective as well as the management perspective and systematically walk through the available options and possible opportunities for decisions. Start by understanding what causes someone to act this way. Often it’s a need for control that stems from insecurity and lack of maturity. Some micromanagers lack confidence, workplace uncertainty, and pressure to perform at levels beyond their abilities and are generally in need of coaching and mentoring. Many of us have the propensity to be a micromanager, but some of us rein it in better than others or have learned from our past mistakes. 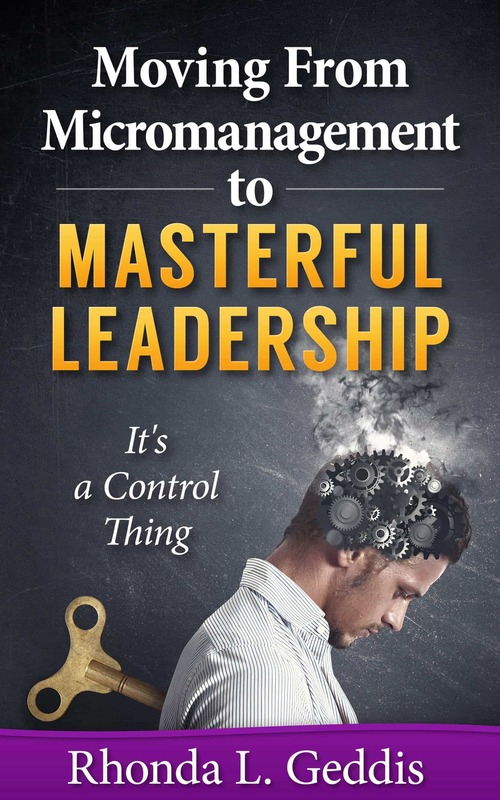 In this book I will reveal secrets and strategies of working with a micromanager and how not to be a micromanager.